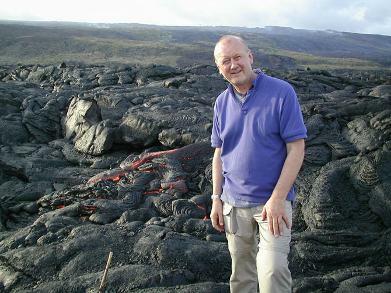 The opportunity to see lava flowing from Kilauea, recently in a state of constant eruption. The Volcanoes National Park with the "Crater rim drive" and "Chain of craters road." Visits to Tropical Rainforest and spectacular waterfalls. Based mainly at Kailua Kona on the dry, sunny side of the Big Island, with 2 nights at Hilo, close to the Volcanoes National Park. Also 2 days at Honolulu, with the chance to visit Diamond Head, Waikiki and Pearl Harbor. Leave Heathrow on late morning flight to Kona, on the Big Island of Hawaii, via Los Angeles, arriving in Kona in early evening local time (Hawaii is 10 hours behind UK time). Transfer by coach to the Royal Kona Resort hotel at Kailua-Kona. An easy day to recover from the journey the day before. Introductory talk after breakfast to explain the trip’s activities, then time to explore Kailua Kona and the local area. An early start, with a coach journey to the Volcanoes National Park area, arriving mid-morning. 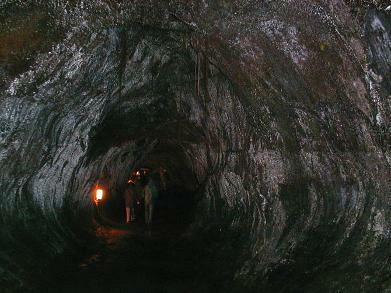 We take a route following the “Crater Rim Drive” around the Kilauea caldera, stopping at a number of places including the Thurston Lava Tube. After lunch, there will be time spent in the Information Centre. 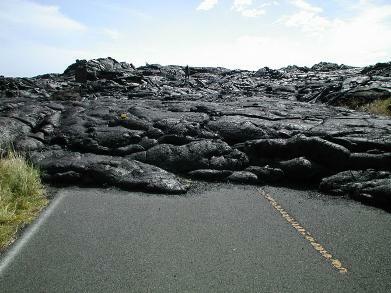 Then finish with a walk (hopefully) to the point where active lava flows can be seen at close hand at dusk. This will be undertaken only if the authorities allow access. We then check in at a local hotel in Hilo, the main island town, for a two-night stay. A free morning. The chance to explore Hilo. Alternatively, for those who wish to take a helicopter flight over the volcano, with the potential of seeing flowing lava in more inaccessible areas, this would be the opportunity, though it would probably need to be booked in advance. Afternoon coach trip to the Volcanoes National Park, taking in “Chain of Craters Road” viewing a range of features. We leave after breakfast, journeying up the eastern side of the island. At Hilo, we visit Rainbow falls, then continue to Akaka Falls in the tropical rainforest region, before reaching the overlook to the Waip’io Valley – one of the most spectacular views in the whole of Hawaii. We return to the hotel at Kailua Kona via Waimea. If time allows, there will be a stop at the historic Pu’ukohola Heiau cultural site. We leave after breakfast, heading for South Point, the headland which marks the furthest point south reached by the USA. A short walk from here is the Green Sand Beach, so-called because of the many large bright green olivine crystals eroded out of the crater forming cliffs in the basalt behind. Before reaching South Point we have a short stop at the nearby Black Sand Beach, where turtles can usually be seen. Free day. The chance for lazing on a beach, snorkelling over the coral reef, shopping in the Kailua Kona, or possibly taking part in an extra excursion – a flight or helicopter ride over the lava flow, or possibly a whale / dolphin watching boat trip? You may wish to hire a car to explore some of the island. We check out of the hotel for a morning flight from Kona to Honolulu, the state capital on the island of Oahu. Transfer to hotel in Waikiki, a short walk from the beach. Optional afternoon visit to Diamond Head, an extinct volcanic crater overlooking Waikiki. Free day in Waikiki. Your chance to take an optional excursion ~ possibly a city tour of Honolulu with a visit to Pearl Harbor and the Arizona Memorial, or a more extensive tour of the island of Oahu. Early morning flight to Los Angeles, with an evening flight from there to the UK which arrives late morning the next day (UK time). For those who wish, there is the possibility of one or more nights stopover at Los Angeles, or staying for longer in Hawaii. The cost of the visit is estimated at £2095. This includes flights by American Airlines from London (Heathrow) to Hawaii and return (and airport taxes), and the internal flight by Hawaiian Airlines from Kona to Honolulu. It also includes coach transfers and local transport on all the excursions on the itinerary listed (except those on free days and those stated as optional). Included in the cost is accommodation: Six nights at the Royal Kona Resort at Kailua Kona, two nights at a hotel in Hilo, near Volcanoes National Park on the Big Island, and two nights at the Ohana East hotel at Waikiki. All accommodation is on a room-only basis. Accommodation is based on two people sharing a room. It should be possible to arrange single rooms for those who require it, but this will involve a considerable supplement, as the cost of rooms is the same whether occupied by one or two people. All those taking part in the tour are expected to arrange their own holiday insurance, which should be in place at the time of making the booking and can be obtained from any travel agent or insurance broker.